A settlement of more than $14 Million for the victims of an automobile collision. When it comes to protecting the rights of our clients, Salvatore J. Zambri is relentless and passionate. As a Washington D.C. injury lawyer, Sal has extensive and successful experience in a wide range of practice areas, including medical malpractice, wrongful death, product liability, truck accidents, Metro accidents, construction defects, food poisoning, among others. He is board certified in Civil Trial Advocacy by the National Board of Trial Advocacy. He also holds an AV Preeminent® Rating by Martindale-Hubbell®, which is a testament to his solid track record and reputation. Sal’s work representing injury victims has led to numerous successful results and accolades. On multiple occasions he has been acknowledged by Super Lawyers as one of the “Top 10” attorneys (out of more than 80,000 lawyers) in the Metro area. Sal has also been among the “Top 1%” and one of the “Best Lawyers” in the country as noted by Best Lawyers. 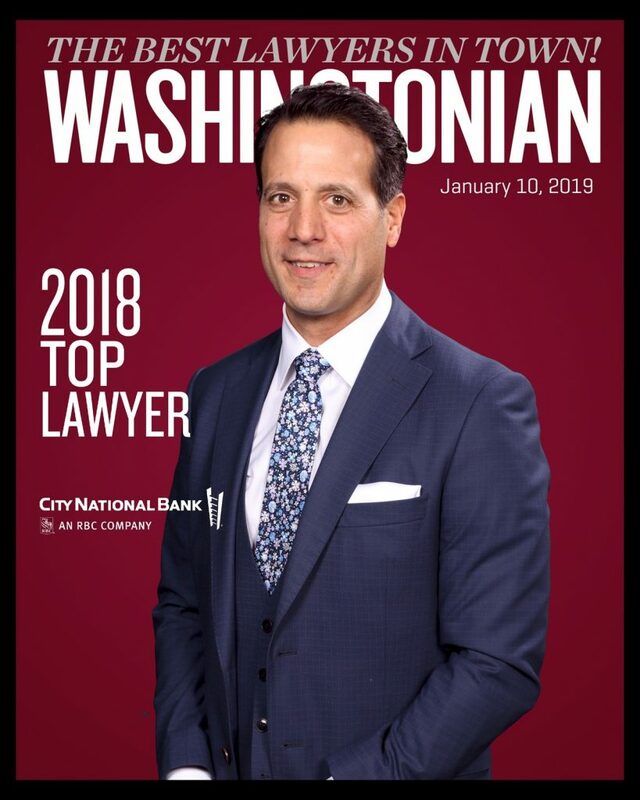 Washingtonian Magazine calls him a “Big Gun” as well as one of “Washington’s best — most honest and effective — lawyers” and counts him among the “Top 1%” of Metro area attorneys. In the past, he served as president of the Trial Lawyers Association of Metropolitan Washington, DC—an organization that has also named him “Trial Lawyer of the Year.” Sal currently serves as president of the American Board of Trial Advocates (DC Chapter), as well as president of DC Legal. Sal’s work had made our hospitals, playgrounds, subway systems, and our communities safer. As described by Super Lawyers, Sal is a Culture Changer. With 25 years of civil trial experience in Washington area courts, Sal is well-versed in personal injury matters. Thus, his opinion is often sought by other lawyers, and he regularly speaks at seminars and teaches other attorneys regarding personal injury litigation. He was also an adjunct professor of law, having taught advanced federal civil practice and procedure, and he has authored numerous publications, including a renowned book on product liability litigation. Sal is licensed to practice in Washington D.C., Maryland, New Jersey and New York. In his free time, he provides pro bono work for many charitable organizations in the community. Sal feels a deep personal obligation to his clients, to listen to their stories, and to work for full justice on their behalf. If you need a Washington DC injury lawyer, Sal will be your partner for justice. Contact us today to discuss how personal injury attorney Salvatore Zambri can help you.